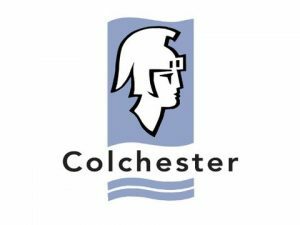 Colchester Borough Council blaze digital transformation trail, and revolutionises waste & recycling services at the same time. Colchester is best known as Britain’s oldest recorded town and first city. Now, its Digital Strategy 2017-22 sets out an exciting vision of Colchester Borough as the best-connected place in the East of England. The Digital Strategy is designed to enhance and build on the Borough’s Economic Development Strategy, to help deliver the infrastructure and the investment required to secure value-added employment for a rapidly growing population. Higher employment and a growing population creates ever increasing demands on the Council’s waste & recycling collection operations, and related services such as street cleansing, winter gritting and gully emptying. 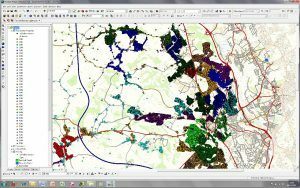 With training and on-going support from ISL, the team at Colchester created new routes using RouteSmart-for-ArcGIS that are as efficient as possible within the constraints of vehicles, working hours, and depot, MRF & landfill locations, as well as the road network. As Kieron Johnston, Strategic Lead for ICT, Communications & Marketing at CBC states, “We completely redesigned our waste & recycling service using the latest technology & real time data to optimise and automate processes. Our recycling rates increased by 10%…. real world improvement through digital innovation”. 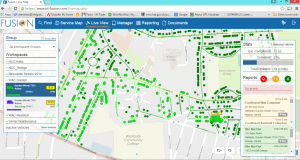 The innovation has been recognised at a national level and the Council is a finalist in the Digital Transformation category of the Municipal Journal annual awards. To ensure drivers follow the optimised routes over the customised travel network (provided by the Ordnance Survey), and also improve driver communication, the Council has deployed the in-cab solution “Navigator” from ISL into the vehicles. The depot based team can either send out broadcast messages and notifications to all drivers – e.g. ‘traffic delay – use High Street access to facility’, or can send and receive bespoke messages to/from individual vehicles. The Council rolled out Navigator onto Panasonic Toughpads – ruggedized hardware that can cope with the physical stresses of waste & recycling vehicles, and have proven reliability in difficult conditions. 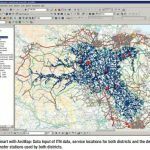 Colchester is also utilising ISL’s Fusion software – an online system to manage day-to-day operations. Fusion enables teams at the depot to view route progress in real time over the planned route and view incidents & service reports made by the drivers, amongst other features. As Stuart Henshaw points out “The Colchester team continues to be committed to maintaining its newly adopted connected technology – route planning, in-cab and in-depot technology – updating this daily and using the ‘service intelligence’ it provides to further improve the services the Council provides.” He also makes note that “we were impressed by the ambition at Colchester – the project being delivered from startup to go-live in only four months – half the typical period for a similar project. “As the relationship between ISL and Colchester continues, the project teams will be evaluating other digital innovation products such as “Bin2Day” – a citizen smartphone app that enables users to create reminders for bin collection days, review what recycling goes into which bin and receive messages from the waste team about service changes, such as after a Bank Holiday. View the case Study document here.